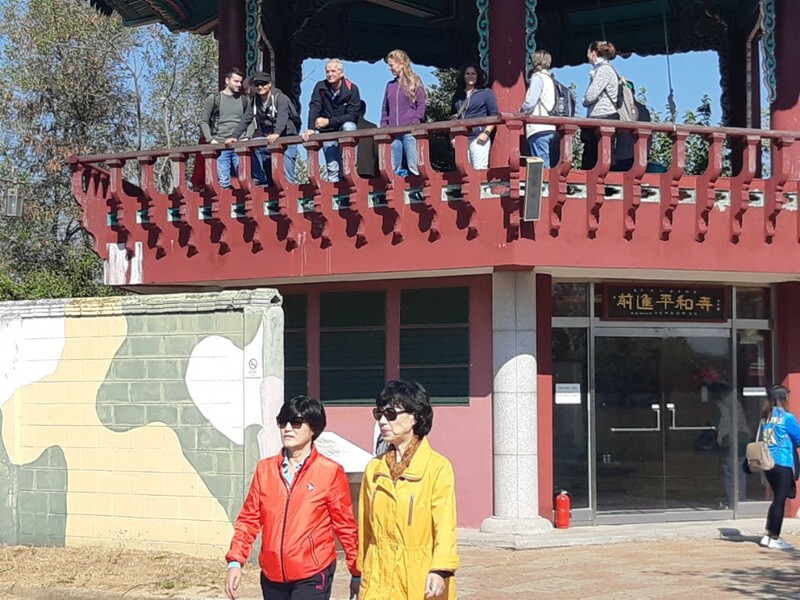 Tourist from various countries visit field of peace "DMZ ". 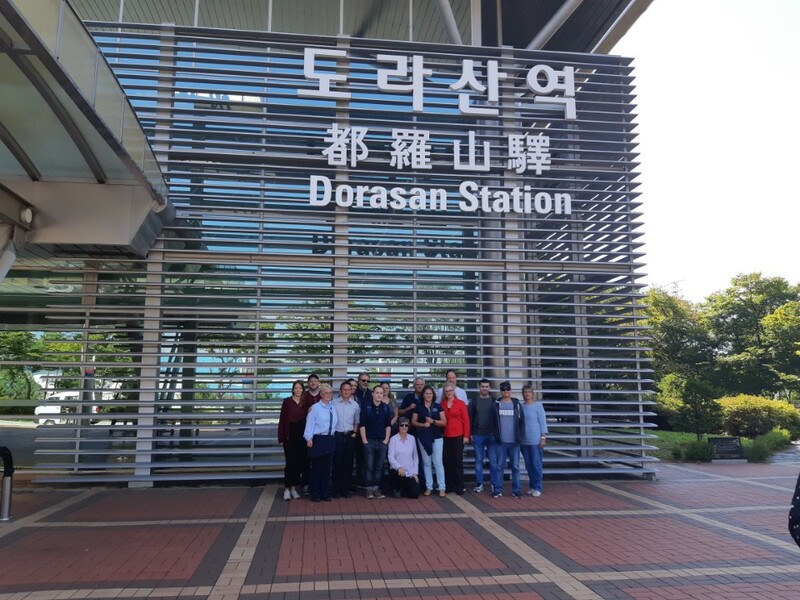 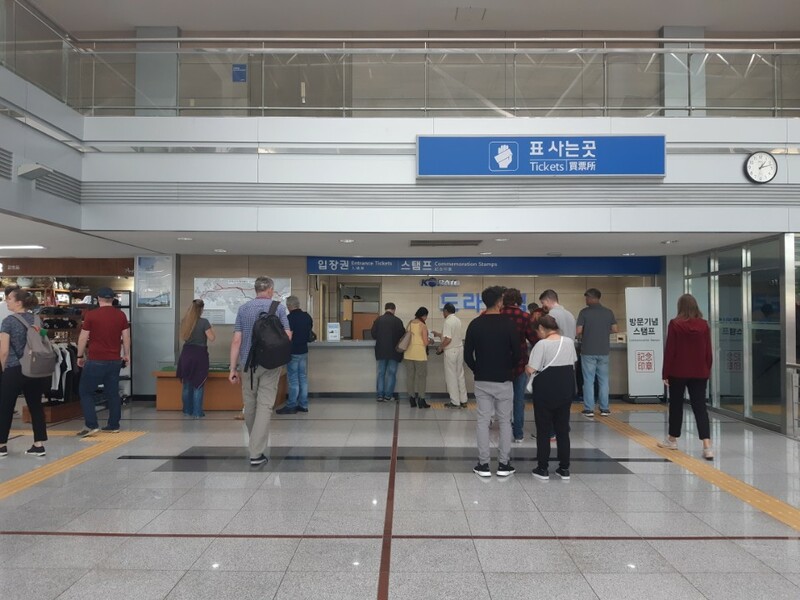 At Dorasan station., people see how train will run thru Korean peninsula to Europe in the future. 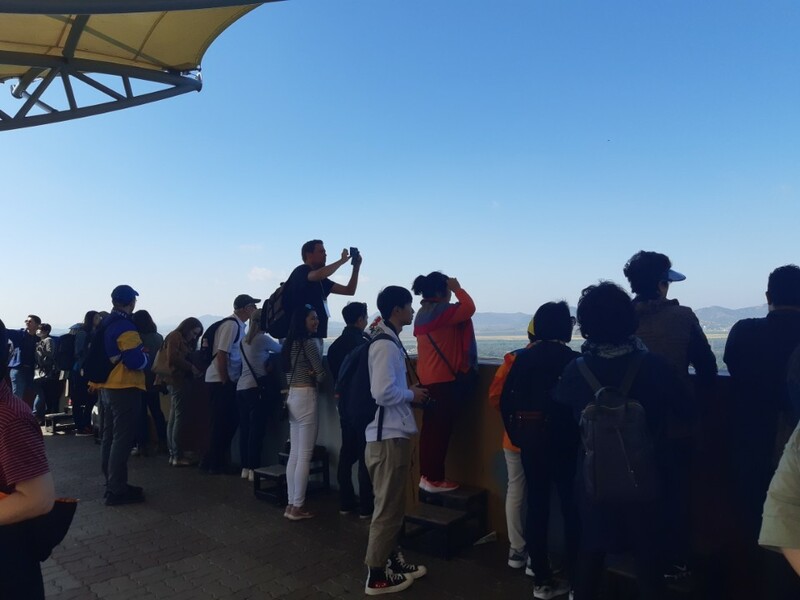 At dorasan observatory, people see part of north korea. 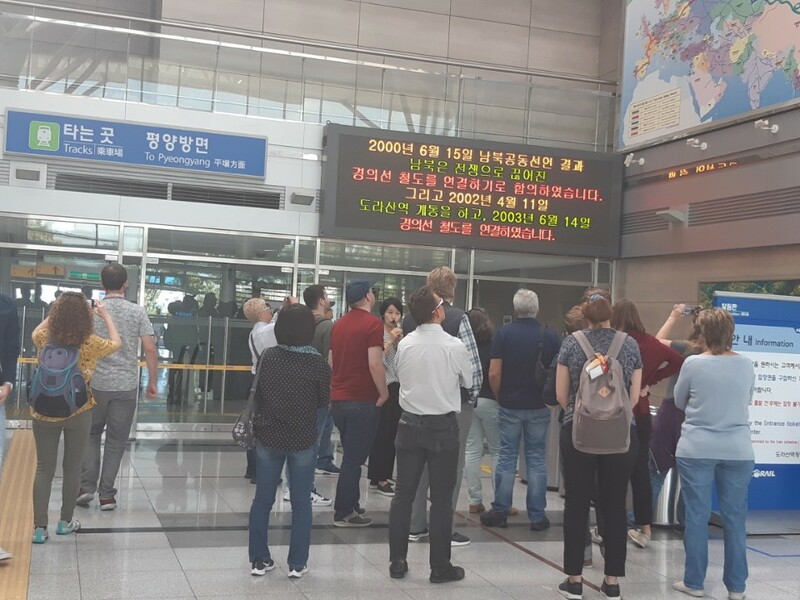 To South Korea, North Korea is so near and yet so far.